Over the last 30 years, London has experienced extreme high temperatures that have affected the health, comfort of Londoners and the economic vitality of the city. These include the heat waves of 1976, 2003 and 2006 and the unseasonal hot weather of April, September and October 2011. 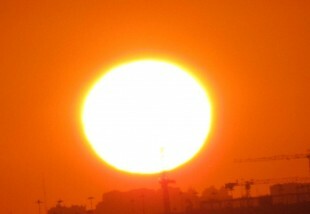 Due to the exacerbating factors of London’s existing Urban Heat Island and climate change projections for increased average temperatures and more extreme hot weather events in the South East of England, decision makers across all of London’s interdependent urban systems need to start thinking about evidence based, risk management approaches to planning, designing and managing for the impacts of hot weather. This report summarises the findings of a small qualitative research project which has identified some key hot weather related thresholds relevant to London and its urban systems. It focuses on some of the specific issues for the social housing and care home sectors. Based on the findings of the desk based literature review and a series of semi-structured interviews with experts in the two sectors selected for more detailed study, this report then attempts to set out the beginnings of a generic flexible pathway, threshold based decision making approach relevant to decision makers across all of London’s urban systems and sectors. A series of recommendations for improving policy and practice relating to hot weather planning and heat risk management are set out at the end of the report. These are aimed at three target audiences: decisions makers in the social housing and care home sectors in London; decision makers within London’s urban systems, including the London Climate Change Partnership and the Environment Agency, and national level decision makers who are responsible for policy, legislation and guidance relevant to heat risk management in the UK. Whilst some key organisations working within the urban systems which comprise London are responding to this risk (e.g. Transport for London, National Grid, the Health Protection Agency and Crossrail amongst others), many individuals working within the social housing and care home sectors do not currently perceive hot weather related risks as serious enough to make major changes to their strategic and operational decision making processes. Therefore, the development of clear and credible information and case study examples is required to facilitate: wider and deeper engagement with the issues around heat risk management; co-production and co-generation of messages to be communicated; and relevant and logical decision making approaches within these two sectors, and across all of London’s urban systems. It is hoped that this report contributes to the growing body of knowledge and guidance around understanding and communicating heat risk and heat risk related decision making in London, as well as providing some recommendations for further work to be commissioned.